Sartoria Sciamàt opens it's doors in 2002 by the will of it's founders Valentino Ricci - a young lawyer with a deep involvement with elegance - that together with his wife Silvana, his brother Nicola and his childhood's friend Pippo decides to make a dream come true. The creation, as a little jewel, of an high-level male dressmaker's shop in the respect of the best tradition's of elegance and good taste, with an attitude to innovation, aimed to fullfill the desires of true fine connoiseur. A new style line, characterized by a fresh and personal approach to it's clients. 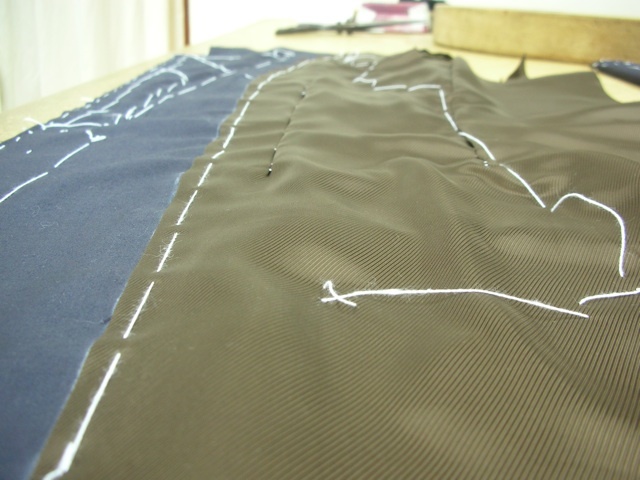 A "sartoria" where every single tailor made dress truly respects and reflects his own Dresser.